What’s for breakfast, lunch, dinner and snack? Eggs. If you’re vegan, we guess it might be tofu! Eggs have been the go-to food for many when they don’t know what to make for dinner or any other meal. They are easy to prepare, deliver complete protein, and taste delicious. 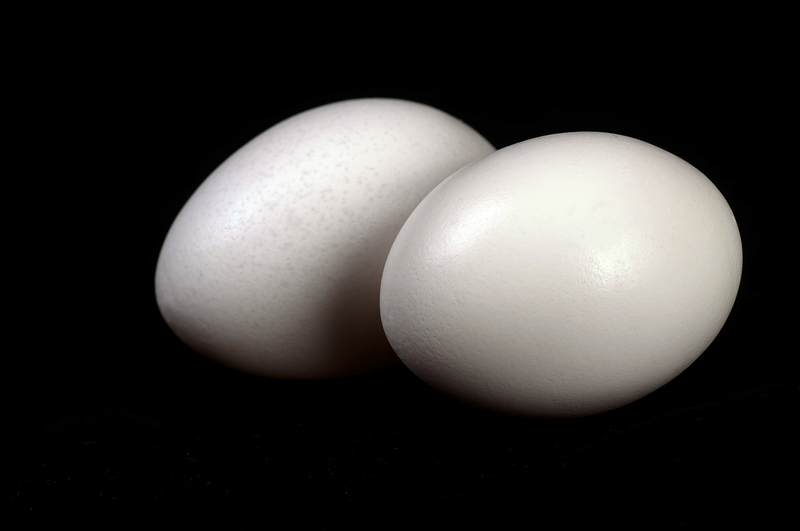 Eggs are also important ingredients in certain recipes for increasing moisture, leavening in baking, or as a binder. Are Eggs Good for Us? So why have eggs had such a bad rap in the past? The high cholesterol in eggs is often cited as the issue impacting heart disease. However, research is showing that other factors may have a greater impact than cholesterol consumption, such as saturated fats, trans fats and a high carbohydrate diet. We often consume these types of foods with eggs. Think: Bacon, toast, sausage! Caution: People with diabetes may need to avoid eggs. There are differing views, studies, and conclusions about the impact of eggs on diabetes. So, it is best to check with your health care practitioner if you fall into this group. Some people may also have sensitivities or allergies related to eggs. Again, be cautious and check with your health care provider for individualized advice. Okay, now that we’ve gotten this major question out of the way, let’s learn more about eggs and why consider including them into your nutritional regime. Egg Variety: What’s the Difference? Eggs come in all kinds of varieties so it’s hard to tell what’s best. Typically we talk about eggs from chickens but you can also eat eggs from quails, ostriches, ducks, geese, and turkeys. For purposes of this blog post, we discuss eggs from chickens. Even chicken eggs come in several varieties. If you glance through the egg aisle of your supermarket, you’ll see the standard ‘grade A’ or ‘grade AA’ in various sizes, cage-free eggs, pasture-raised eggs, free range eggs, omega-3 enhanced eggs, organic, and so on. 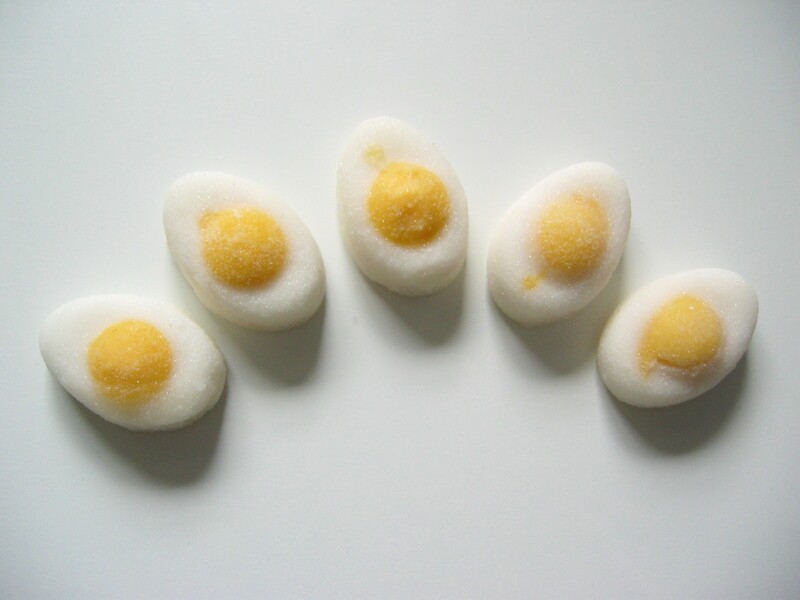 The egg grade defines the quality of the egg produced by the hen and is determined by such standards as clearness of the egg white, absence of defects in the yolk, cleanness of the egg-shell, and so on. Grade AA is better than grade A but the difference between the two is small. The size of the egg, from small to jumbo, is based on the weight of the egg. As far as the various types of eggs, the important difference is how the hens producing the eggs are raised and what they are fed. Ideally, you want eggs from hens that are able to roam freely in pastures eating grasses, worms, and all the other great stuff that yield the highest nutritional base material for good quality eggs. In this case, “You are what you eat!” Hens that are able to roam and feed on grasses like alfalfa, clover, and other high omega-3 nutrients produce eggs with higher omega-3 content. 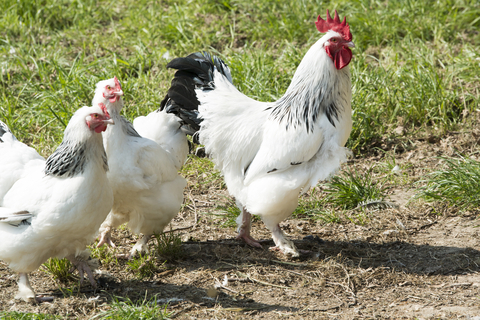 Some hens are also fed food with omega-3 oils to enhance their omega-3 content. A good source of pantothenic acid, protein, phosphorus, vitamin D and A. Eating the whole egg, along with other essentials like fiber, will give you the greatest nutritional benefit; however, there are distinct health benefits derived from each part. If you are concerned about fat, then using more egg whites and fewer yolks as a mixture may be a solution, since the yolk contains the fat. The greatest benefit of eating eggs is the broad nutrition that they can provide. Eggs are considered a high quality protein that contains a complete range of amino acids, all the B vitamins (very high in choline), and some minerals that are difficult to find in other foods (selenium and iodine). Here are a couple of recipes to spice up your eggs repertoire. 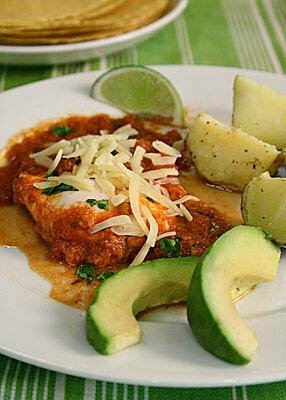 If you like your food hot and spicy, try this Mexican-style egg dish with fire-roasted tomatoes. It’s a good lunch or dinner option. An easy egg treat that kids and adults will love for breakfast or dessert. 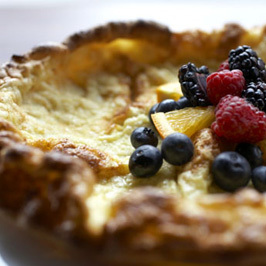 While baking this pancake, you’re free to get other parts of the meal ready! Place eggs in pot with just enough water to cover the top of the eggs. Bring water to boil and then immediately turn off heat. Remove pot with eggs from stove top and cover with lid. Let eggs rest for exactly 20 minutes. Remove eggs from pot and let cool before peeling. This entry was posted in Nutrition, Recipes, Weekly Blogs and tagged B vitamins, choline, eggs, protein. Bookmark the permalink.